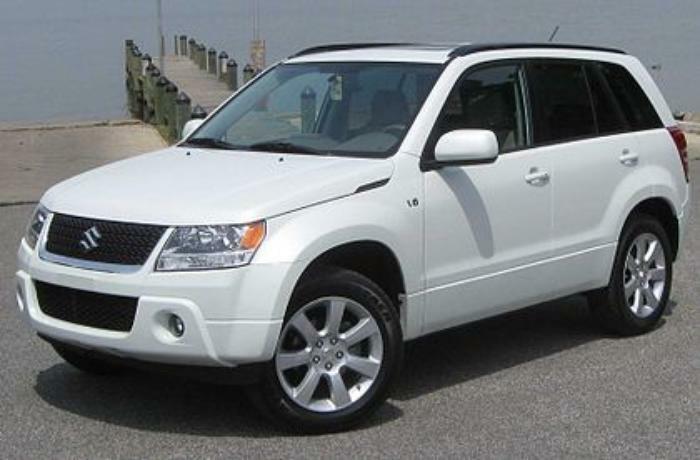 Suzuki Motor of America is recalling 31,302 model year 2010-2013 Kizashis and model year 2006-2013 Grand Vitaras. The front passenger leather seat may shrink due to high humidity and high temperature. As a result, the occupant classification system (OCS) sensor mat may not accurately detect if an adult or child is occupying the seat. 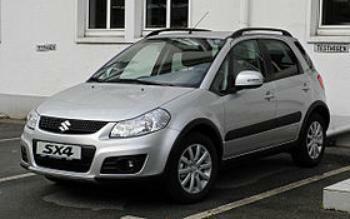 Suzuki is recalling about 32,000 2009-2011 Grand Vitaras and 2010-2011 SX4s. The company said the tension adjuster pulley for the drive belt has a defective spring that can break, causing the belt to be adjusted improperly. This could lead to the engine overheating, the battery discharging and the engine stalling. Also, the power steering could fail. Dealers will replace the pulley with an improved part when the recall begins in mid-February. Owners may contract Suzuki about Recall No. SM at 1-887-697-8985 or at www.suzukiauto.com. February 2, 2009 Suzuki is recalling about 26,000 of its GSX-R1000 motorcycles from the 2005-2006 model years. Suzuki is recalling 142 model year 2013 SX4 vehicles manufactured December 26, 2012, through February 4, 2013 and equipped with a continuously variable transmission. The bolts that fasten the drive plate to the torque converter may not have been installed with sufficient torque and may loosen and come out. The detached bolts can get caught between the drive plate and cylinder block, which may cause the engine to stall, increasing the risk of a vehicle crash. Suzuki will notify owners, and dealers will inspect the torque converter bolts, tightening them as necessary, free of charge. The recall is expected to begin in December 2013. Owners may contact Suzuki at 1-800-572-1490. Suzuki's recall number is VE. 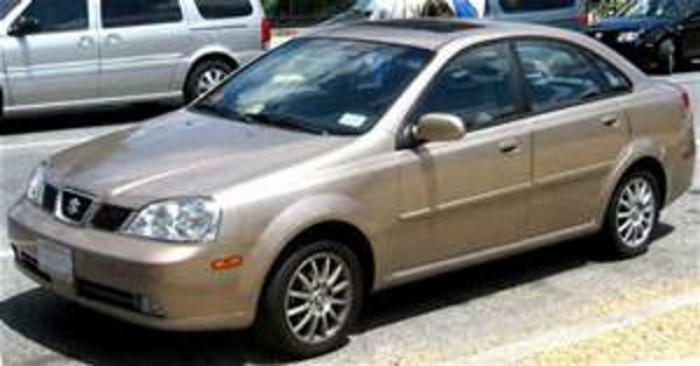 Suzuki Motor of America is recalling184,244 model year 2004-2008 Forenza vehicles, and 2005-2008 Reno vehicles manufactured from September 1, 2003, through July 30, 2008. Heat may be generated in the headlamp switch or daytime running light (DRL) module of the affected vehicles, which could melt the headlamp switch or the DRL module, increasing the risk of a fire. Suzuki will notify owners but the manufacturer has not yet provided a notification schedule. The remedy for this recall campaign is still under development. Owners may contact Suzuki at 1-800-934-0934. Suzuki's number for this recall is XA. Suzuki makes a great motorcycle, we're told, and it's the No. 1 automaker in India. But its sales in the U.S. have been barely detectable the last few years and now the company says it's packing up and shipping out. American Suzuki Motor Corp., Suzuki's sole U.S. distributor, said today it has filed for Chapter 11 bankruptcy and will stop selling new cars immediately. It said it will continue to honor warranties and provide parts for Suzukis already on the road. The company blamed the decision on poor sales, high costs and stringent safety and pollution regulations. Customers haven't exactly been ecstatic about their cars so the company's demise may not result in public outbursts of remose. "My car is a Forenza Station Wagon 2006. In 2008, the dealer replaced my transmission. Now 4 years later, I need another one," Deborah of Matthews, N.C., wrote in a ConsumerAffairs posting recently. "I contacted the corporate office and they said they couldn't do anything for me. ... There is no way a car should need two transmissions in 6 years." Deborah was far from the only consumer to experience serious transmission problems without receiving any help from Suzuki. David of Gulfport, Miss., bought a 2008 Firenza with a 100,000-mile drive-train warranty for his daughter, who took it to Hawaii. "Once there, the transmission started having problems so she took it to the only Suzuki dealer on the island. They said they would not honor the warranty because Suzuki would not let them have any 2008 models?" David said. "Something needs to be done about this. My daughter can barely afford to live there, let alone pay for a new transmission." Suzuki started selling cars in the U.S. in 1985 and sold a high of 102,000 vehicles in 2007. But its growth was sidelined by the financial crisis of 2008 and never quite got back on track. The company sold just 26,000 in the last year. Suzuki began a slow disappearing act earlier this year when it skipped several major auto shows, suspended its social media activity and slashed national television advertising. It also dropped 32 dealers last year and even canceled its subscription to J.D. 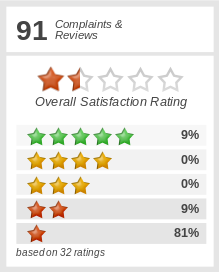 Power & Associates’ customer satisfaction data. Suzuki Motor of America is recalling 103 model year 2014 DL650A V-Strom motorcycles manufactured January 20, 2014, through January 21, 2014. A drive chain link in the affected vehicles may not have been riveted by the supplier when being manufactured. If the drive chain link was not riveted, the chain may come off, increasing the risk of a vehicle crash. Suzuki will notify owners, and dealers will inspect the drive chains of the affected motorcycles. For any unsold motorcycles with a drive chain link that is not riveted, Suzuki dealers will replace the non-riveted link with a drive chain joint set. For any motorcycles that have been sold to retail customers with a drive chain link that is not riveted, Suzuki dealers will replace the drive chain and the front and rear sprockets, free of charge. The recall began on May 27, 2014. Owners may contact Suzuki at 1-800-572-1490. Suzuki's number for this recall is 2A39. 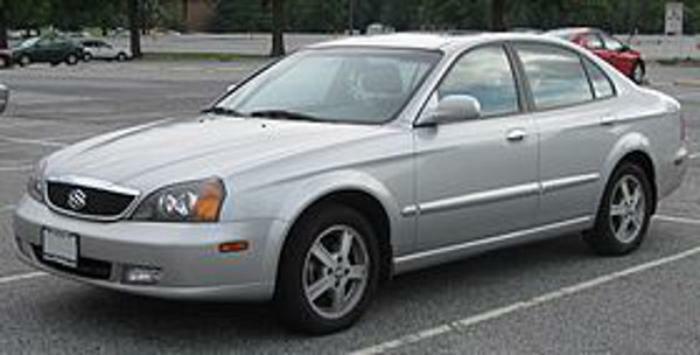 Suzuki Motor of America is recalling 25,899 model year 2004-2006 Verona vehicles manufactured June 2003, to October 2005. In the affected vehicles, there may be heat generated within the DRL module located in the instrument panel, which could melt the DRL module, causing a vehicle fire. Suzuki will notify owners, and dealers will replace the DRL module in the instrument panel, free of charge. The manufacturer has not yet provided a notification schedule. Owners can contact Suzuki customer service at 1-800-934-0934. Suzuki's number for this recall is XC. 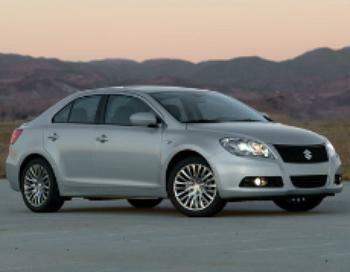 Suzuki Motor Of America is recalling 19,249 model year 2010-2013 Kizashi vehicles manufactured October 2009 through July 2012. In the affected vehicles, spiders may weave a web in the evaporative canister vent hose, blocking it and causing the fuel tank to have an excessive amount of negative pressure. That could cause the fuel tank to crack, resulting in a fuel leak, increasing the risk of a fire. Suzuki is in the process of notifying owners, and dealers will replace the evaporative canister vent line on the affected vehicles with a vent line that has a filter on the end. If the canister vent line is found to be obstructed by a spider web, the fuel tank will also be replaced. These repairs will be performed free of charge. The recall began on August 12, 2014. Owners may contact Suzuki customer service at 1-800-934-0934. Suzuki's number for this recall is VG. Suzuki Motor of America is recalling 23,073 model year 2011-2014 GSX-R750 and 2009-2014 GSX-R1000 motorcycles. If a gear is missed while upshifting, the strain applied to the drive chain after the next shift may cause the rear axle to move, damaging the left-side drive chain adjuster. The damage could cause the drive chain to come off, removing power to the rear wheel and increasing the risk of a crash. Suzuki will notify owners, and dealers will replace the left-side chain adjuster with an improved part. The recall is expected to begin on October 17. Owners may contact Suzuki customer service at 1-714-572-1490. Suzuki's numbers for this recall are 2A40, 2A41, 2A42 and 2A43. 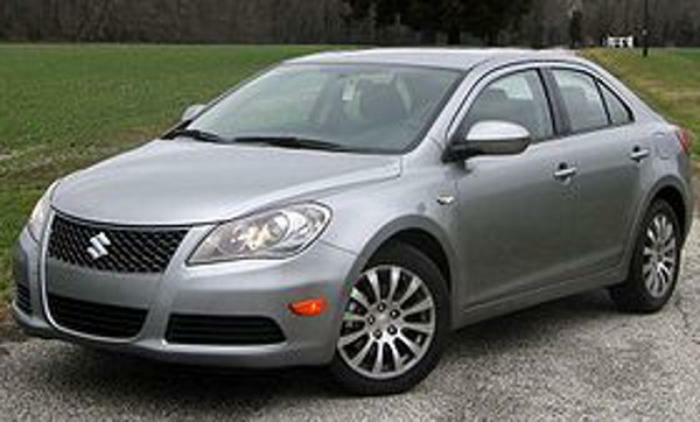 Suzuki Motor of America is recalling 60,823 model year 2010-2013 SX4 vehicles manufactured July 16, 2009, to November 1, 2012, and 2010-2013 Kizashi vehicles manufactured October 13, 2009, to October 31, 2012. The shift selector can be moved out of the "Park" position without depressing the brake pedal. That could allow the vehicle to roll unexpectedly, increasing the risk of a vehicle crash. Suzuki will notify owners, and dealers will replace the shift selector assembly, free of charge. The recall is expected to begin January 19, 2015. Owners may contact Suzuki customer service at 1-714-996-7040. Suzuki's number for this recall is VL. Suzuki Motor of America is recalling 791 model year 2009-2013 Grand Vitaras equipped with a manual transmission. The gear shift rear shaft may break, preventing the gears from being able to be changed, increasing the risk of a crash. Suzuki will notify owners, and dealers will replace the gear shift rear shaft, free of charge. The recall is expected to begin March 1, 2017. Owners may contact Suzuki customer service at 1-800-934-0934. Suzuki's number for this recall is VZ. This story is based on a recall notice issued by the National Highway Traffic Safety Administration (NHTSA) or the automobile manufacturer. Although the recall notice may specify certain models and production years, the actual recall may officially include only certain vehicles within those categories -- production runs during a certain time span, for example. Has your car been recalled? To check whether there are outstanding recalls on your car, jot down your VIN number (which you can find in the lower left corner of your windshield), go to www.nhtsa.gov/recalls, and enter the VIN where indicated. Once notified of a recall, you should contact your local dealer, who will make the necessary repairs if parts are available. Frequently, parts are not immediately available and you may have to wait, sometimes for months in the case of a large recall. The dealer may voluntarily provide you with a loaner but is not required by law to do so. Suzuki Motor of America is recalling 5,786 model year 2013 Suzuki Kizashis and SX4s equipped with a Continuously Variable Transmission (CVT). The Transmission Control Module (TCM) may fail causing a reduction in speed or reduced vehicle acceleration, which could increase the risk of a crash. Suzuki will notify owners, and dealers will replace the TCM, free of charge. Suzuki Motor of America is recalling 1,107 model year 2006 Suzuki Grand Vitaras. The power steering pump belt tension adjuster pulley has an outer portion that is made of plastic. Repeated heat stress can cause the plastic material to deteriorate, causing pieces of the pulley to break off. American Suzuki Motor Corp. is recalling 73,426 motorcycles from the model years 2008-1010. The vehicles are equipped with regulator/rectifier assemblies, Suzuki part numbers 32800-41f11, 32800-15h10, 32800-05h11, 32800-41g10, 32800-15h00, 32800-18h00, 32800-05g10, 32800-10g10, 32800-05h20, or 32800-06g01. Some regulator/rectifier assemblies were produced with insufficient adhesion between the power module (circuit board) and the rectifier case that contains a heat sink to dissipate heat. Due to insufficient adhesion, heat generated on the power module circuit board can cause the circuit board to deform, and lift of the case. Suzuki will notify owners and Suzuki distributors will replace the regulator/rectifier with an improved part free of charge. The safety recall is expected to begin on or about March 2, 2011. Owners may contact Suzuki at 1-714-996-7040.